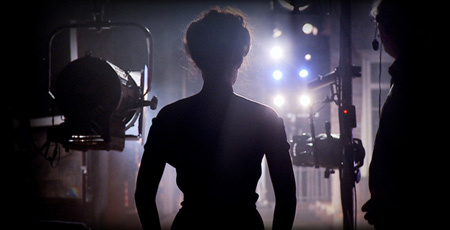 Taking you behind the scenes and close to the action with high-quality live recordings/broadcasts from London's National Theatre, Moscow's Bolshoi Ballet, New York's Metropolitan Opera, Seattle's On the Boards, the Paris Opera Ballet, and more, Performance in HD programming at BAM provides an entirely new way to experience dance, opera, and theater. This year's featured artists include Simon Russell Beale, Anna Netrebko, Alexei Ratmansky, Young Jean Lee, and Nicolas Le Riche. Tony and Olivier Award – winner Nicholas Hytner (The History Boys) directs Richard Bean's hilarious reworking of the classic commedia dell'arte play The Servant of Two Masters. Choreographed by Danseur Étoile Nicolas Le Riche and featuring Vivaldi's Four Seasons, Caligula draws inspiration from the story of one of Rome's most infamous emperors. One of the most provocative voices in American contemporary theater, playwright-director Young Jean Lee dares audiences to laugh as they consider their own preconceptions about race and culture. Anna Netrebko opens the Met season with her portrayal of the ill-fated queen driven insane by her unfaithful king, singing one of opera's greatest mad scenes. Choreographed by Alexei Ratmansky after Marius Petipa, the Bolshoi Ballet's new staging of Le Corsaire “fairly bursts with dazzling ingredients” (The Washington Post).